You guys seem to like when I put these DVD block sets up, so here' another. 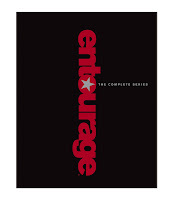 Today only Amazon is offering up the entire Entourage television series for just $100 on Blu-Ray for $97.50 ($100 for DVD). This retails for $300. Apparently this show is sort of about Mark Wahlberg's introduction to Hollywood, but the best part is anything with agent Ari Gold. If you haven't watched before, go on YouTube and check out his best parts. He's insulting, he's arrogant, and he's hilarious. That's eight whole seasons you can watch over and over again. Click here to view the offer at Amazon.com.